Mexico. As a citizen of the United States, the country has become more than just our southern neighbor. It has become a hot-button issue. The country itself seems to be a point of contention. Immigration, “The Wall”, trade, crime, drugs. These topics all flashpoints for argument and also fuel that helped to put the Trump administration into the White House. Debates on issues involving Mexico are not likely to end soon, either. No matter how one stands on such issues, one thing is certain… most of the news reported to us here in the U.S. about Mexico is negative. That being said, Mexico has been on my mind. I’ve never been there, but it has always fascinated me. I know depictions in movies and television are not the most accurate and news bits only give a taste, a sampling of more negativity. I wanted to see the beauty that I knew had to be there. I’ve seen fragments of it. And these fragments often fueled vivid, imagined scenes, often paired with the mandatory and ubiquitous classical guitar. I wanted to see photographs and I wanted a book of them. I wanted to be able to linger on the images and savor them. Fortunately, there were two fresh options from two photographers whose work I truly admire. 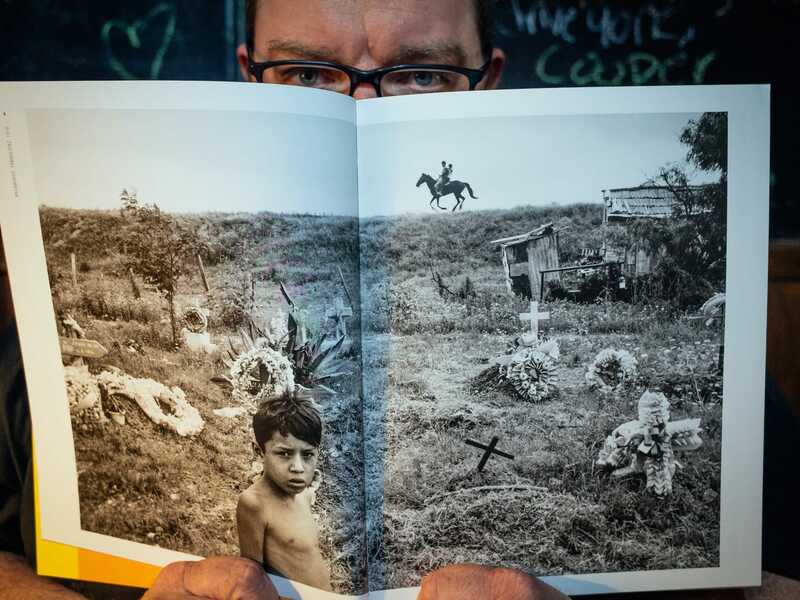 There was Alex Webb’s ‘La Calle’ and ‘Mexico: Photographs’ by Mark Cohen. Due to budget constraints, I could choose only one. I ultimately chose Webb’s offering only because of the fact that I didn’t own anything by him. I knew he had worked in Mexico a good deal, and samples of his work from there were gorgeous. There likely wasn’t a bad decision to be made, but I must admit that I’m very pleased with my choice. 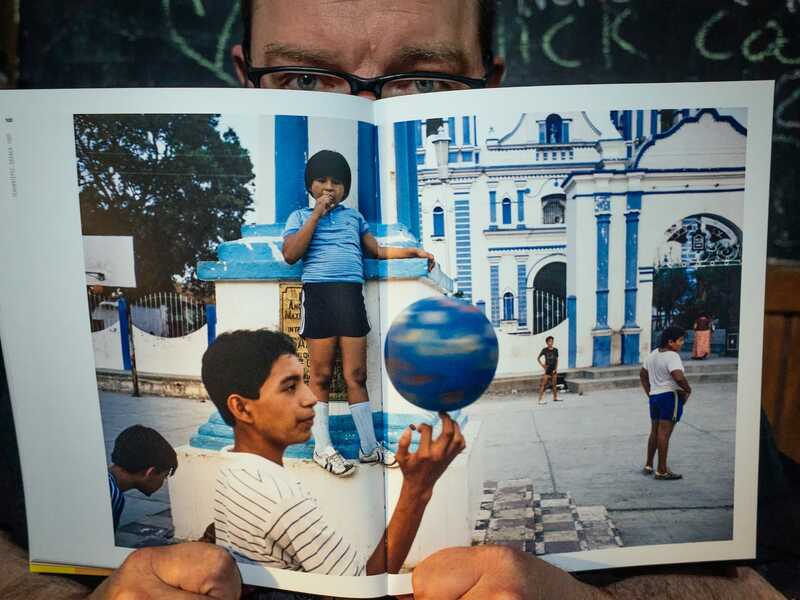 Alex Webb really needs no introduction to any readers here. Webb, born in 1952, is a member of Magnum Photos and he’s known for images rich in colour, depth, and intense shadow and light. His style is almost immediately recognisable and he’s inspired countless other photographers. He graduated from Harvard in 1974, where he studied literature and history, and he also studied photography at The Carpenter Centre For The Visual Arts. Shortly thereafter, in 1976, he became an associate member of Magnum Photos. Over the next thirty-plus years, he has had eleven books published showcasing images from locations such The Caribbean, The Amazon region, Florida and Istanbul. His career-spanning retrospective, The Suffering Of Light, which was first published in 2011, is still selling strong at #45 on Amazon’s list of photographer’s monographs. Webb has received numerous awards and fellowships, been exhibited worldwide, and also works with his wife, Rebecca Norris Webb, another highly talented photographer. In addition to those other locations mentioned above, Webb has shot extensively in Mexico from 1975 through 2007. Couple this fact with his nearly magical shooting skills… you have a photographic guide that’s going to show you the country he sees in a most dynamic and vibrant fashion. ‘La Calle’ (Aperture, 2016) is more than simply a collection of travel shots from his ventures into Mexico. It’s a document of lovingly crafted shots that capture the beauty, and sometimes, the gritty reality of life in a country that is often presented as being as tumultuous as it is enchanting. Webb has photographic eyes that are to be simply envied. 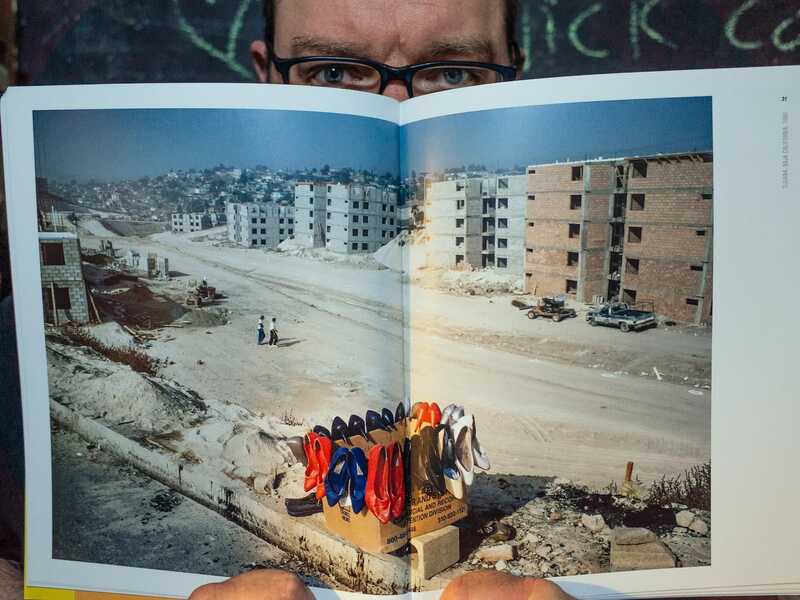 Looking at a concentration of his photographs, like in this book form, there’s no denying it. It is almost as if he strikes gold every time he shoots. Webb’s photographs are heavy. Not so much as in packing an emotional punch, but because they are dense. Loaded with layers. Thick with colour. Pools of the darkest shadows and brilliant swaths of light, with the humans caught in either, if not both worlds. In some cases, there’s so much going on within the picture, that the whole image seems like some impossible collage… but one that’s been seamlessly constructed. This is part of Webb’s ‘magic’. And it’s those images that makes the viewer wonder how fantastic results can be achieved all in a split second journey. One that begins at the eyes and runs its electrical rails to the brain, then eventually to a finger and through the mechanical operation of the camera. Throw in a little chemical process too at the final destination and it all seems like some kind of alchemy, maybe even wizardry. 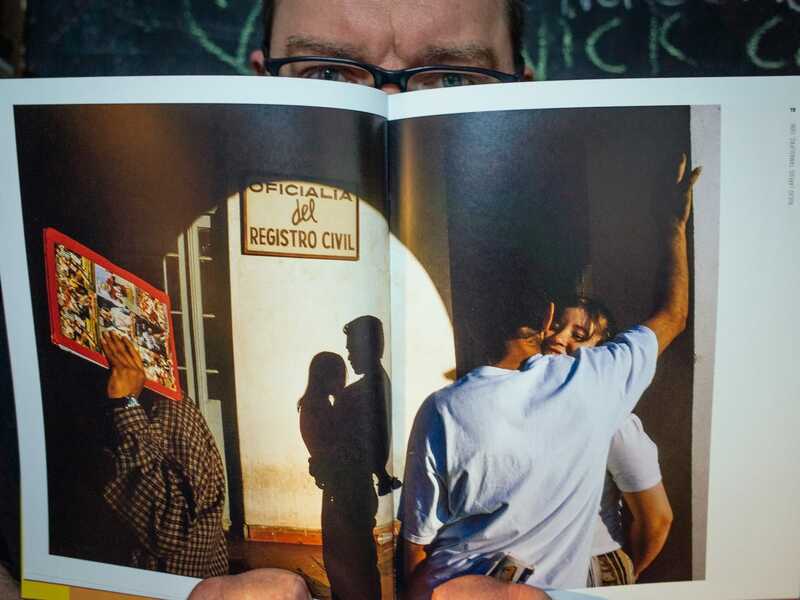 ‘La Calle’, at 180 pages, is a robust collection from the photographer’s ventures into Mexico that leaves the reader satisfied, but not completely satiated with Webb’s work. 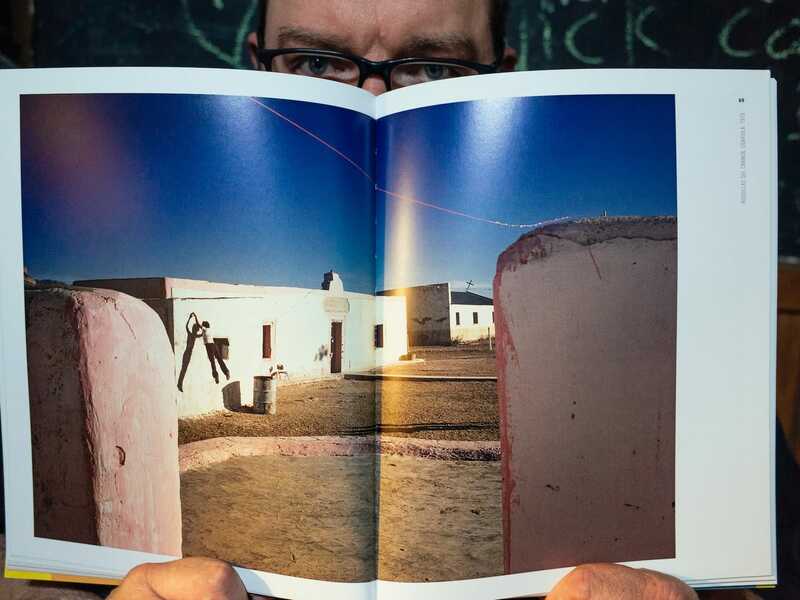 Being that La Calle’s images are all from Mexico, the reader is left wanting to see how Webb sees and captures other parts of the world. This work from Mexico has intimacy in abundance, it’s photographs testimonials to the fact that Webb was close to the country and its people and that he obviously loved shooting there. However, ‘La Calle’ is not what I would consider documentary work. Webb’s style leaves me with the feeling that I’m looking at an art book. Even though ‘La Calle’ is filled with unposed images from the street, his talent and mastery elevates street photography to another level. It’s highly artistic, but you never feel that the photos are not honest. Gritty, but yet incredibly romantic at points, the pages never take you off of the street. Many shots appear to be from less-than-affluent areas, and you can feel the heat radiating from dusty, arid streets that look to be shot in desert towns. There no shimmering glass and steel structures. No traffic lights. No suits, ties or cell phones. But there is a pageant of everyday life on the streets, and moments snatched away from the march of time against colourful walls and old architecture. Children seem to be a favourite subject of Webb’s. The great cover image of a child hiding in a cardboard box, peering out from a rough hole cut in it. A girl caught in mid-air coming off a swimming pool diving board, while a factory belches smoke in the background. But ‘La Calle’ is a mysterious book, and delightfully so. While Webb gives us truly candid street photography, several of the photos leave the viewer to try and piece their own story together to finish the experience. A boy, beside the railroad tracks, almost appears to be near-levitating, eyes rolled back in his head. A leg apparently following the rest of its body over what may be a border wall. An obviously grieving woman being held back by another man as a man, apparently dead, lies on the street. These are just a few examples of bits of stories that are perfectly shot, but also perfectly ‘incomplete’. Alex Webb, without a doubt, is keenly aware of how colour, along with light and shadow, factor into his superb compositions. However, ‘La Calle’ begins with a few of Webb’s black and white shots from his earliest trips into Mexico. Just this small sampling of monochrome work shows that Webb is equally adept in both mono and colour. But, as the rest of ‘La Calle’ proves, Webb knows that Mexico almost demands to be shot in colour. The packaging of ‘La Calle’ is as unique as the photographs within. The pages are flush with the ultra-thick cardboard stock cover, giving the book a journal-like feel. This design, by David Chickey, makes ‘La Calle’ feel more like a finished, printed “project” than it does an art book. This choice also makes the book feel more “everyman” and accessible, an interesting execution that works. A most minor niggle, though… the book is a little bit difficult to handle when laid on a lap. Also within ‘La Calle’ is five commissioned writings from Guillermo Arriaga, Álvaro Enrigue, Valeria Luiselli, Guadalupe Nettel, and Mónica de la Torre, all Mexican and Mexican-American authors. The texts, albeit brief, enhance the reader’s experience by adding voice amongst the visual buffet. The visceral writing of Arriaga, for example, is a gut-punch with his description of violent life on the street. This particular text shares a page with an image of a migrant worker using a railroad track for a pillow. ‘La Calle’ isn’t all pretty colours and children… there’s harsh reality within, and it is captured with deftness by Webb. ‘La Calle’ is a photo book that still hasn’t made it to my bookshelf, only because it begs to be explored again and again. And that’s because Webb’s work is magical, masterful and, at times, mysterious. Needless to say, for a street photographer, ‘La Calle’ is incredibly inspirational. For a photographer who’s been quoted as saying “99% of street photography, if not more, if not more, is about failure,” it’s hard to believe Webb experiences failure when looking at his work. Equally important, though, this book presents a romantic, non-exploitative and sometimes, unflinching glimpse into a country that, for being so close, seems to be being pushed further away. Thankfully there’s photographers like Webb to keep it close. 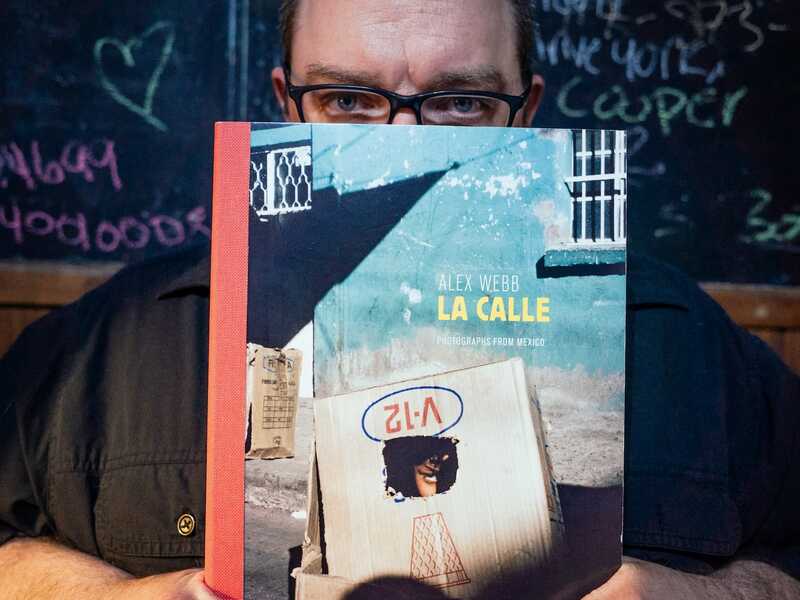 La Calle is a gorgeous collection of Webb’s work shot entirely in Mexico. This publication only further fertilises Webb’s still-growing legend as a photographer, whose style is immediately recognisable and is one that never goes stale. La Calle is a great addition to any bookshelf, and it beckons the reader to seek out his work in other locations. A solid value at under $50 USD. Very highly recommended.